Last Sunday we appeared on the UK’s biggest business television programme Dragons Den, and all five dragons wanted to invest in our start-up, Pouch; a browser extension that displays valid voucher codes instantly. Fans of the show will know that getting all five dragons to make offers is unheard of and we couldn’t quite believe it ourselves! We knew that we were on to something great when we created Pouch but to have business tycoons like Deborah Meadon, Peter Jones and Touker Suleyman all want to be involved was a huge confidence boost. Although it’s great to get confirmation from leading business people that your business idea is a good one and we walked away from the Den £75,000 better off, the biggest benefit we actually experienced from appearing on the show was the amount of site traffic and downloads it generated. These are real, measurable results: 100,000 emails, more than 30,000 downloads, 20 times our daily average revenues and half a million site visits – all from a 15 minute segment on a television programme! I can’t think of any other marketing method that will get these types of results in the space of a week, can you?! Dragon’s Den is brilliant for new businesses because it allows entrepreneurs to tell millions of viewers, and in our case potential customers, exactly what our product does. The difference between this and a prime time TV advert – apart from the extortionate cost – is that viewers are engaged and want to listen which is why the segment resulted in tens of thousands of downloads and 500,000 site visits. We had anticipated a huge surge in traffic from the show which is why we decided to livestream on Facebook and ran Google Analytics during the show. After 23 minutes, the number of site visitors rapidly rose from around 11 people to nearly 33,000 at one point. This type of traffic increase can only be rivalled by an extensive advertising campaign; something that takes time and money most start-ups don’t have. I’m pretty sure this was the first time anyone has live broadcast their browser analytics during and after the show, and it was worth showing everyone because we picked up some nice coverage off the back of it and I think it legitimises the show’s impact. These statistics are proof that Dragon’s Den has improved our brand awareness, which I think is the biggest benefit for us – even more so than the investment we received. Another key benefit was the experience we gained pitching our product to five of the biggest names in UK business. Although lots of people see Dragon’s Den as the Love Island of the business world, the whole process from preparation to pitching was the real deal. During the show viewers only see around 15 minutes of the pitch, however if the Dragons like your idea you could be pitching for up to two hours, which can only prepare you for future investment pitches and rounds – an invaluable experience. I think another huge positive impact is the legitimisation of our idea. We know that Pouch is an idea which can affect millions of people positively, however, as is true with any idea, persuading someone else of this is another task in itself. Yet, when five out of five Dragons want to invest their own money into your business, it solidifies the business idea as ‘a good one’. This alone is going to have an immense impact moving forward in all areas of our business, whether it be pitching, approaching retailers and marketing. In the future, when a potential consumer sees a Pouch advert or reads an article on us we hope they will remember our pitch on the ‘how’. The entire experience of appearing on Dragons’ Den – from start to finish – was a pleasure and the full effects of the programme are still yet to be seen. It will take a few weeks to see just how much it has impacted the business, but after one week it’s certainly going in the right direction. 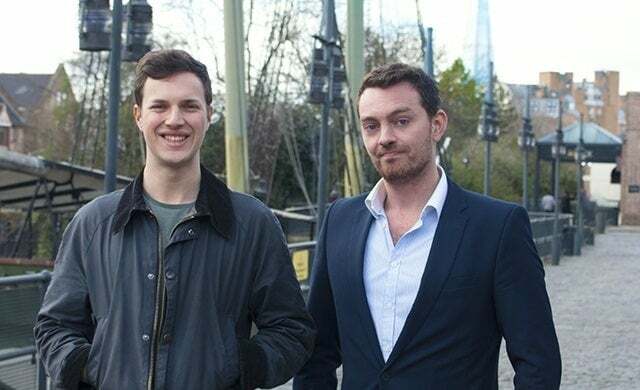 Ben Plein and Jonny Corrigan are the founders of Pouch. To find out more about the business, click here.